Indian Premier League is on and the fever of cricket is at its epitome in the country. The love of cricket reaches its peak in India and the widespread fan following cricket enjoys in the country is incomparable. The IPL is going in its full swing and the 24th match will be played today evening at M. Chinnaswamy Stadium in Banglore. The excitement around the tournament is at an all-time high with almost all the matches going till the very last ball. However, one thing that has been stinging this IPL is the injuries players are going through. There has not been an IPL earlier that has seen so many players not being able to perform due to their injury. We have brought to you a list of five such players who may miss the future IPL matches due to their injuries. The man behind the exceptional hitting power of the Kolkata Knight Riders is injured in his knees. He couldn't participate in the Pakistan Super League because of his injury but has been playing for KKR since the start of the IPL and has been proving his mettle. But there is a constant of fear of Russell getting out of the IPL in case his injury gets serious. Dhawan could not participate in some of the recent SRH matches due to his injury. He is playing for Sunrisers Hyderabad who defeated Mumbai Indians in Yesterday in a sensational match. The match yesterday played proved why Sunrisers Hyderabad are being considered the best bowling side this IPL season. They defended a paltry target of 118 runs and restricted Mumbai Indians at a score of 87 runs. Dhoni has been the key element in steering his team to back to back victories. CSK are going to clash with RCB today and Dhoni's role will as always be crucial in taking CSK to another win. 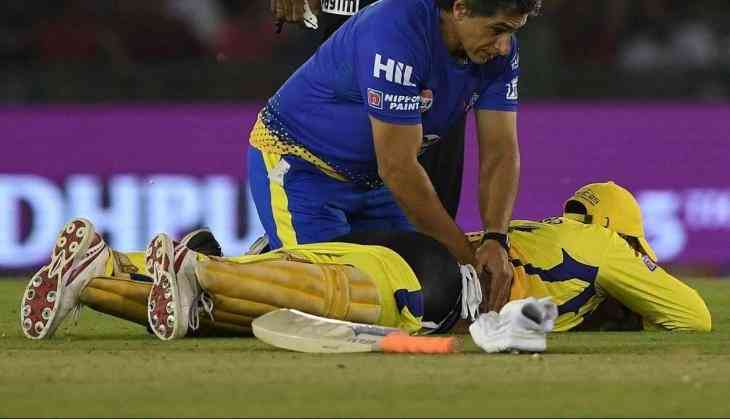 However, Dhoni has also shown signs of injury in his back in the match CSK played against RCB but Dhoni hit a phenomenal 94 run knock anyway. Chris has been the opening man for the Kolkata Knight Riders and has been doing the job well at his position. However, the Australian batsman was injured a weeks ago before the start of IPL. Jofra Archer, the bowler who became a nightmare for the Mumbai Indians in Rajasthan Royals' last match. He was struggling with some injuries before the IPL 11 the reason why he did not play in Big Base League. He has been performing really well for Rajasthan. He was bought for Rs 7.2 crore rupees.